If you hadn’t already noticed the past two seasons, there’s an interesting mix of retro inspirations flooding the runway. For Spring 2015 particularly, designers are drawing inspirations from all corners of the decades, ranging from the fifties to the nineties. On the one hand there are strong nineties influences with masculine, oversized, minimalist silhouettes. 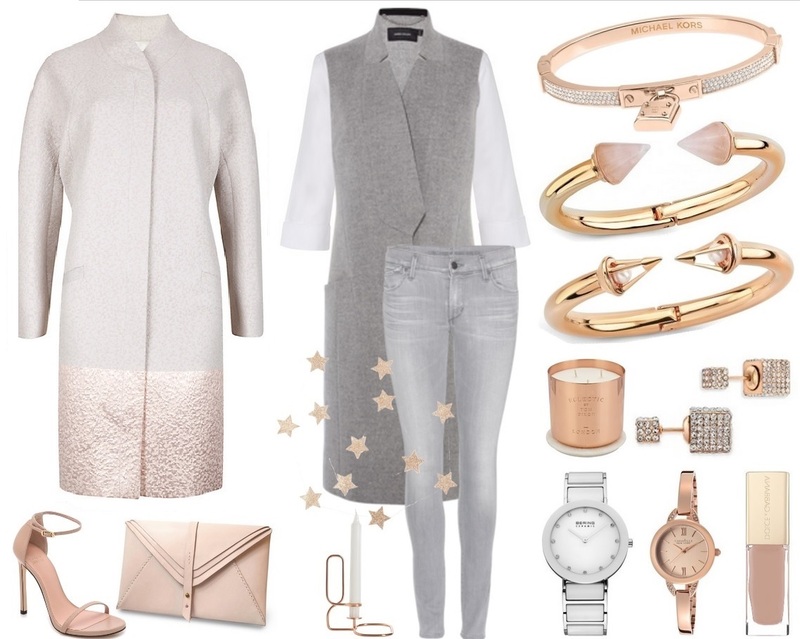 At the other end of the spectrum are ultra feminine fifties-inspired ensembles with nipped-in waists, pencil and voluminous skirts. Most of them executed in pretty pastels. Then add some sixties mod-style in the mix with graphic prints, gingham fabrics, capes and leather. And last but not least, throw in a pinch of seventies boho chic-spice and it’s enough to make a head spinning concoction of fashion-influences! It isn’t really a big surprise, but fashion and interior design trends are always influencing eachother. The last few years, the fifties trend has also been a big hit in interior design. Pastels, grays, copper, marble and retro-inspired designs are booming. All infused with that typically Scandinavian inspired minimalism. A big trend in both worlds is marble. Usually when it comes to fashion and interior design trends, it’s a bit of the chicken or the egg-dilemma, but the marble trend actually appeared first at Jill Sander’s A/W 2008 menswear collection. Soon other labels such as Balenciaga, Kenzo and Philip Lim followed suit. But marble really had its big breakthrough in fashion when it also became the next big thing in interior design early 2013. Danish brands like Bloomingville and Ferm Living took the lead and added some chic marble elements to their collections. So with the marble trend inspiring the fashion and interior design world, I hoped to see marble already making its way into jewelry territory. But alas, my expectation was met with deafening silence. Yeah sure, a few bits and pieces, but nothing earth-shattering to really get exited about. Enter LUV AJ! Okay, okay, these LUV AJ earrings are not exactly marble earrings, but they’re marbleish! They’re made from sterling silver and howlite, a borate mineral with, in this case, a marble look. I couldn’t really decide which one to pick, so I narrowed it down to two and eventually picked both. Besides, I’ve got a promise to fulfill, remember? Underpromise and overdeliver, that’s my motto! LUV AJ has been a favorite designer of mine for quite some time now. For years to be exact. 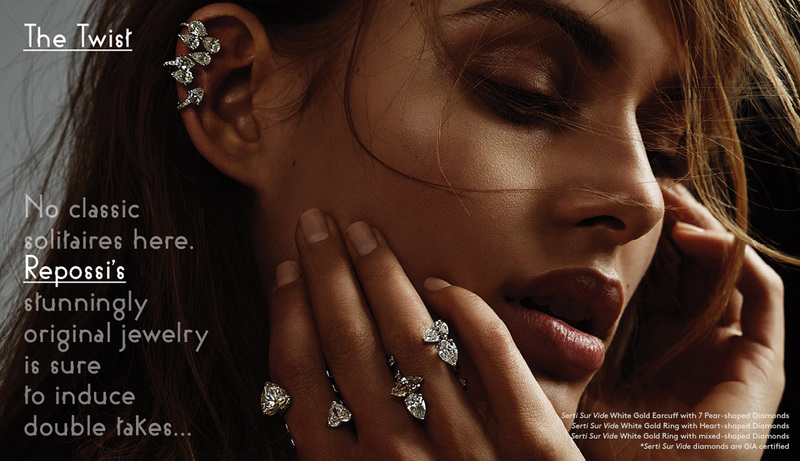 Her new Lovestoned S/S 2015 collection is the perfect excuse (like I need one ;-) ) to feature her jewelry. The lookbook is equally gorgeous. Credit all images: LUV AJ. Earrings available at LUV AJ. 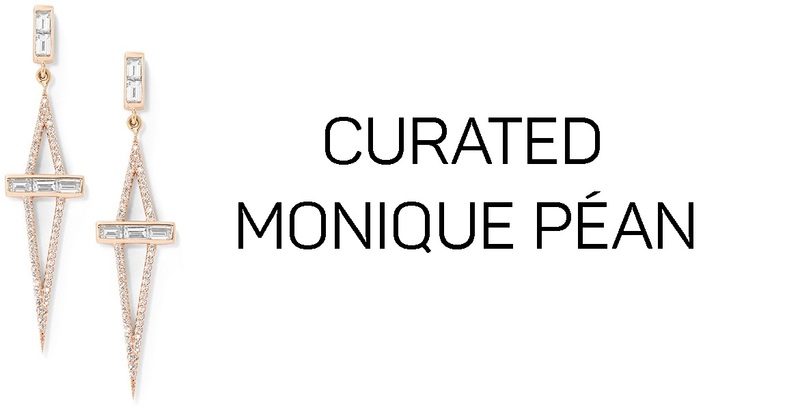 For this edition of Curated, I’ve chose these beautiful Monique Péan earrings. These white diamond baguette earrings are from her ATELIER collection. Set with white diamond pavé, 18 carat recycled rose gold, 0.75 total (TCW) total carat weight. Available at Monique Péan & Marissa Collections. Monique Péan donates a portion of her company’s proceeds to charity:water. 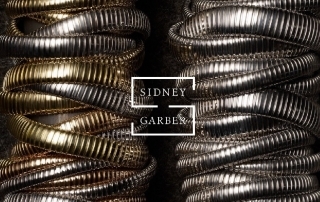 So I hope the people at Sidney Garber will forgive me for this irreverent remark, but the first time I laid my eyes on Sidney Garber’s bracelets, they reminded me of sleeve garters. It brought back memories of me playing as a child with my mom’s big, geometric clip on earrings and my dad’s tie clips. Yes, it was the eighties, if you hadn’t guessed ;-) . I also played with their sleeve garters, which inevitably always ended up with the hairs on my arm getting caught. Well, I’m not exactly sure if these gorgeous bracelets work with the same mechanism as the sleeve garters. I would have to study them up-close just to be sure. Purely for educational purposes of course ;-) . But even if they do, I’m more than willing to lose a few hairs in order to wear these stunning bracelets. Heck, I’m willing to go bald for all I care, if I could just wear these bracelets. They are that stunning! Also check out their instagram account. 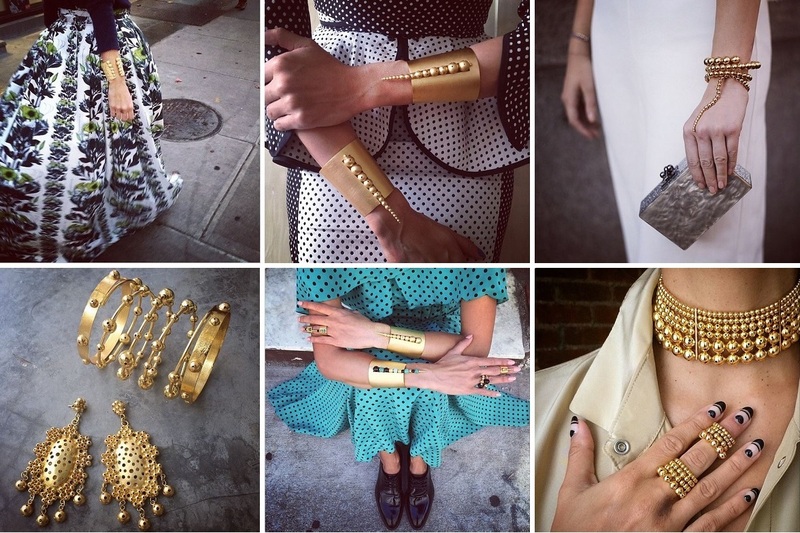 Not only for the Sidney Garber bracelets, but also their other droolworthy jewelry! 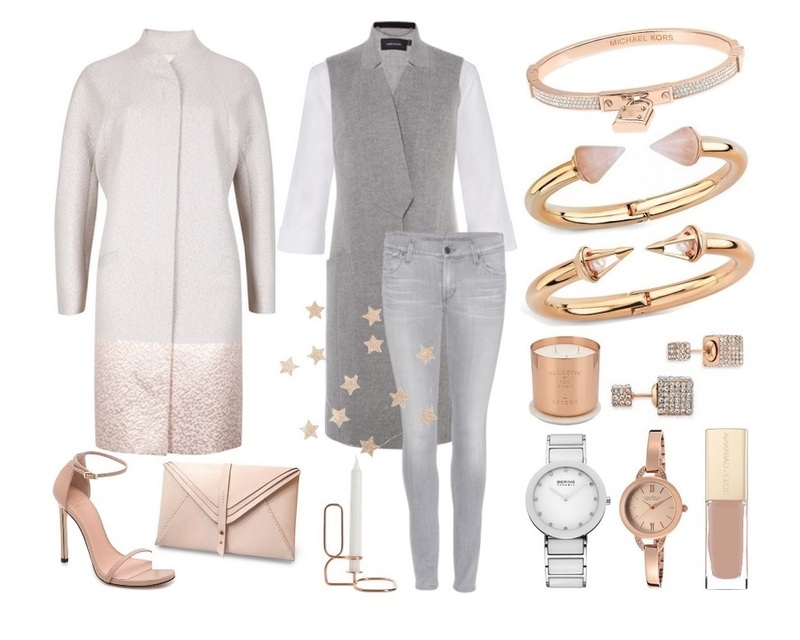 After the last couple of Curated posts I craved for some sweet and delicate jewelry. Not to mention affordable! ;-) This piece of jewelry ticks a lot of jewelry trend boxes. 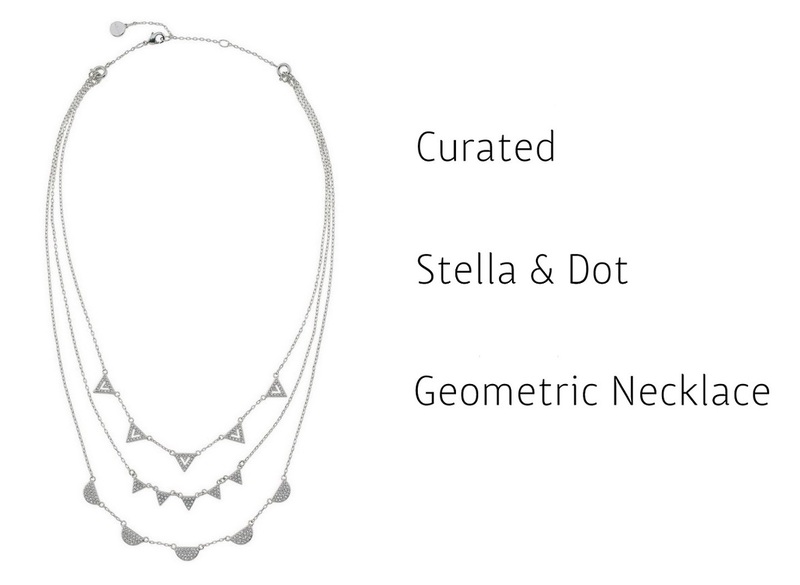 It’s delicate but not boring, check, geometric jewelry, check, layering jewelry, check. I posted the silver version, but it’s also available in a gold look, so that’s another jewelry trend box checked! The three strands can be worn together as one necklace, or unclasped and worn as separate pieces. Available in gold and silver in micro-pavé. All that for a really affordable price at Stella & Dot. While I’m at it, I also like this one.